Middle name from the Civil War Pension record of Francis Ambrose, Court Appointed Guardian - Wm. J. Morris- document. James H. Birge age 85 passed away Saturday January 9, 2010 at the Deaconess Hospital in Evansville. He was born Sept. 12, 1924 in West Silome Springs, OK [s/b Arkansas] to Manuel and Sarah (Ames) Birge. Jim was a retired millwright and fork trucker operator for Scott Lumber in Patoka. He was a Veteran of World War II serving in the U.S. Navy. He had lived in Patoka for the past 41 years moving there from Spurgeon, IN. He enjoyed fishing, hunting and playing horseshoes. He is survived by a son; Jim W. (Regina) Birge of Patoka, three daughters; Louise (Bob) Bean of Patoka, Ann Shaw of St. Clair, MO, Brenda (Curtis) Thompson of Princeton, two step-daughters; Teddy (Bob) Ventress of Patoka, Stacey Puckett of Carmi, IL, one brother: Bob (Grace) Birge of CA, 15 grandchildren, 37 great grandchildren, and 6 great-great grandchildren. He was preceded in death by his parents, his wife; Hattie Birge, five brothers and four sisters. Funeral services will be 11 a.m. Friday January 15, 2010 at the Colvin Funeral Home in Princeton with the Rev. Scott Burr officiating. Burial will follow in the Oak Hill Cemetery in Patoka. Visitation will from 9 a.m. until the service time on Friday at the Colvin Funeral Home. V.F.W. Post 1147 will conduct military services. Died in the Deaconess Hospital of Cardiac Arrest, myocardial infarction. Alpha Birge, d/o Ben Greer & Ruthie Whittle. Nevada, Marriage Index, 1956-2005 on Ancestry.com. Grace Birge, wife of Bob Birge who is s/o Manuel Birge & Sarah Elizabeth Ames. Name is Stokley on 1840 Linn Co. MO Census. Carol Mitchell, descendant of Patrick Campbell, emigrant, thru daughter Griselda. 1870 Owsley Co. KY Census, Booneville Precinct, HH 195 - 1837, KY.
Based on age of daugh, Susan. Also Hardy, single, w/John Campbell 1860 Perry. Edward may have been married to Mrs. Catharine Fugate in March of 1870. - Ref. 1870 Estill Co. KY Census, HH 66. He is one of only two men named Edward Cole in the state of Kentucky in 1870. The other Edward (Breathitt County) is, strangely enough, also married to a Catharine in March of that year. The age difference is only 4 years. 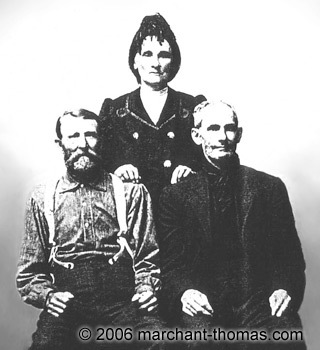 However, I was not able to find Edward's parents anywhere on the 1870 census, so it is possible that neither of these men are the right Edward. 1910 Bryan County OK Census, Twp. 3. 1860 Breathitt County KY Census, District 1. Cemetery Listings Online for Arbaugh, Newton County Arkansas. Golden Combs Ferguson, granddaughter of Adina Combs & Goley Combs. "A Branch of the Combs Family" by Marjorie Turner - Henry Harrison. Civil War Pension Record of William Bishop. Death certificate for Lucy Duff Brandenburg. Mary Beth Irion, grt grt g/d of Colson Duff & Elizabeth Gilbert. Fred Gabbard, son of Leonard Gabbard & Flora Baker. Bill Sanders, son of Tommy Sanders & Vadaeth Abshear. Carmack Cousins newsletter, dated Sept 1 1984. Marriage License has Nancy "Haddise". Middle initial from Owsley Co. Marriages by Robert L. Smith. Evelyn Twist, daughter of Troy Phillips and Lucille Degen. Ernie Matlock grt g/s of Isaac "Ike" Thomas, from Troy's WWI regisration. Ernie Matlock grt g/s of Isaac "Ike" Thomas, brother of Greenville, who married Luisa Hawkins, from Evelyn Twist . PAGE: for Viola "Sis" Marshall. 1870 Owsley County KY Census, Travellers Rest Precinct. Rosco Thomas, s/o Sidney Thomas and Sarah Beard. Nickname "Caney" on death certificate for daughter, Isabella. 1850 Owsley Co. KY Census, HH 58 - 1816. Married, no children on 1850 Owsley Co. KY Census, HH 58. Jane never married. -1880 Owsley Co. Annotated Census by M. M. Hayes. 1870 Owsley Co. KY Census by Myrna Gulley Seal, Buffalo Precinct, HH 9 - 1865.